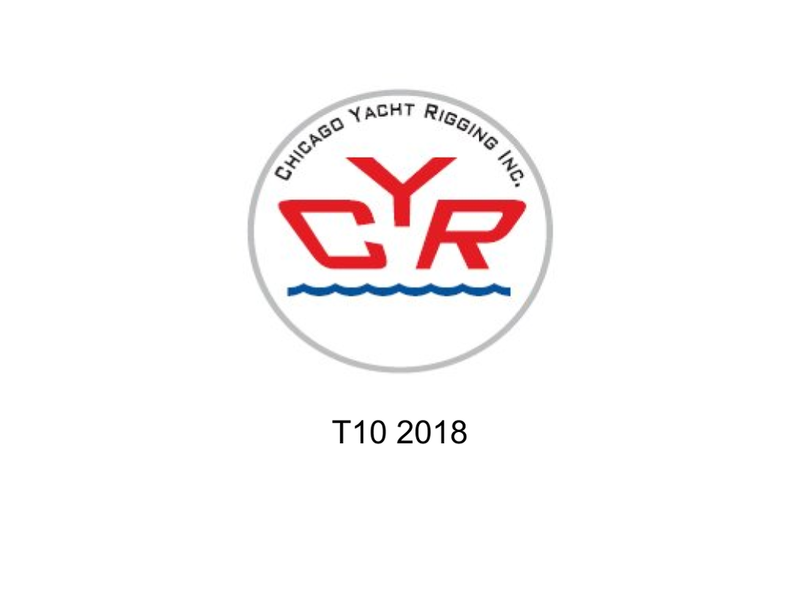 Chicago T-10 Fleet #2 Winter Seminar - This Boat is Rigged! Here are the slides from seminar #2 in the 2018 Chicago T-10 Fleet #2 winter seminar series. Kristian Martincic from Chicago Yacht Rigging gave a presentation titled 'This Boat is Rigged!' that covered many of the rigging issues that T-10 owners have faced. It also included a section on dyform or compacted rigging, a timely topic given the current ongoing class vote on this topic. Videos of the presentation are available on the T-10 Class Association Facebook page and will be uploaded to the Chicago T-10 website shortly.